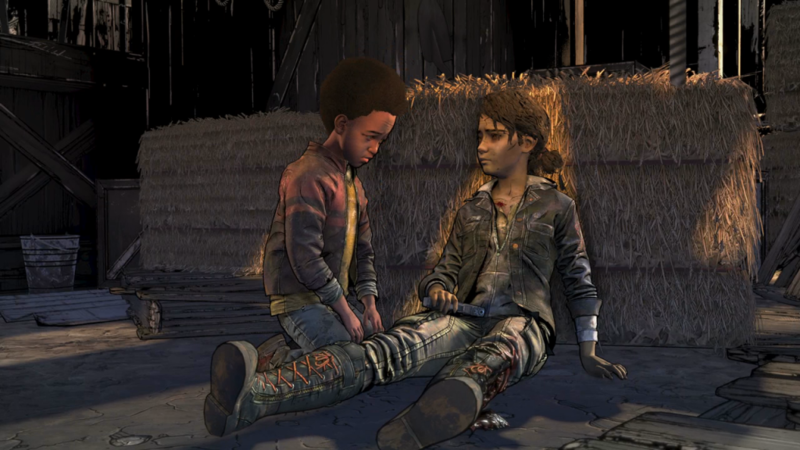 Clementine has survived so many horrible situations and come far but all things must come to an end. Take Us Back has great moments but suffers from pacing issues. Rushing the story forward with one dynamic situation after another. The ending won’t appeal to everyone but Take Us Back gives Clementine the conclusion she deserves. Following the fallout of episode 3, Clementine and her group have to get back to the school. This sounds simple but it is anything but easy, with Walkers constantly appearing out of nowhere. In true The Walking Dead fashion things become increasingly harder as the story progresses. Mostly due to humans actions. This leads to pacing problems with the episode. Some situations seem to come out of nowhere. For example, during the episode Walkers seem to pop out of nowhere especially during 1 of the final scenes. These strange happenings start to effect the story as problems fail to come up organically and serve as a means to push the story forward. This is the final episode in the series and many will expect an emotionally charged ending. Take Us Back does have some profound moments but due to the inconsistantly of the episode, it loses its momentum quickly. In a way, the writers tried to replicate the emotional finale from the first season but were unsuccessful. The events leading up to Lee’s final moments constantly kept raising the stakes with him going in an out of consciousness while providing a shocking turn of events as well. Here, bad things happen and Clementine is forced to deal with it then move on to the next. The developers did offer a solid conclusion to Clementine’s story. The ending won’t appeal to everyone as The Walking Dead universe continues to exist past the closing credits. But given the restrictions the writing team had the ending was comforting. Especially considering the series was almost left unfinished. 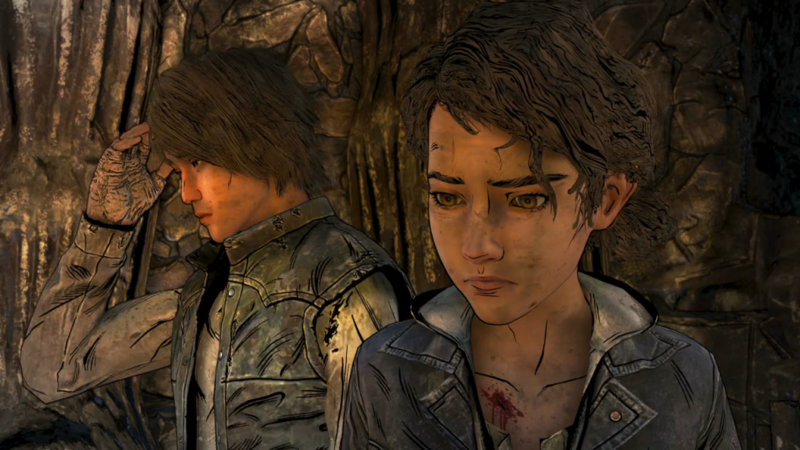 Like in previous episodes, Clementine will make a series of decisions that will alter the story. Since this is the final episode in the series most of the decisions have immediate consequences. 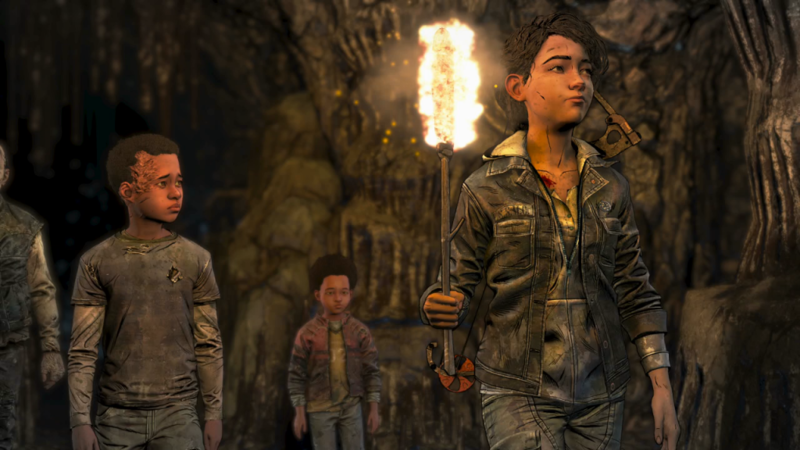 These decisions are supplemented by the past choices Clementine has made, encouraging players to replay previous episodes for different outcomes. While players can save in different files for multiple adventures you cannot skip dialogue or alter specific choices. Understandably, considering that the former developers at Telltale Games priority were to finish the final 2 episodes adding the ability to skip dialogue most likely wasn’t high on the list. Puzzles and collectables have also taken a backseat in episode 4. Many of the collectables can be found in the same area and there’s only 1 puzzle which requires you to collect specific items within several feet of one another. Clementine has survived and endured so much. Take Us Back provides a solid conclusion to this long journey despite the pacing issues. The lack of puzzles helps put more focus on the narrative and with various different dialogue options players will need to put in the time to see everything. Clementine journey has finally come to an end and it was an adventure worth playing.